Parramatta’s famous “Auto Alley” may soon be the latest residential and commercial mecca in the booming Parramatta CBD, with plans for a development comprising 58,664 square metres of residential and 39,099 square metres of non-residential currently before Parramatta Council. The asset, which is currently under the ownership of the family owned company, the Heartland Motor Group, consists of three sites with a total area of 14,287 square metres. Heartland Motor Group’s car yards have been operating from the site since the 1950s. 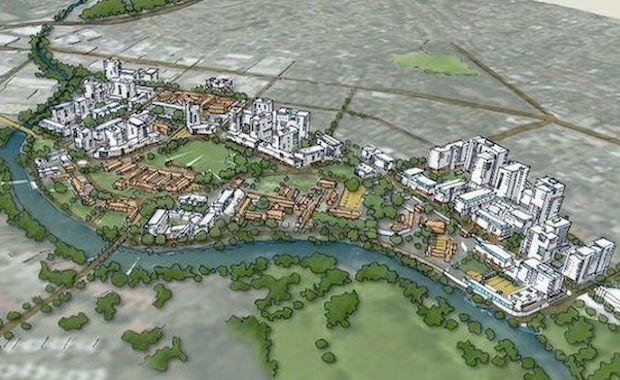 Known as “Gateway South,” the concept plan for the site is strategically important for the renewal and future capacity of the southern Parramatta CBD, delivering future housing, employment and community infrastructure that is well connected to the commercial core of the Parramatta CBD and public transport. Guillaume Volz of Colliers International said Sydney’s need for housing is seeing a structural change occur that is triggering many commercial and industrial areas converted to residential. The sites were rezoned in September to support a more suitable scale of development for the southern gateway of the Parramatta CBD. Through ongoing consultation with Council, the applicant has established a scheme that meets the future strategic objectives for Auto Alley by redeveloping the site to accommodate future commercial and retail needs in addition to contributing the growing need for housing in the area. The proposed Concept Plan is for a high rise mixed use development across the three sites; comprising five buildings for residential and non-residential uses, basement car parking, and a public park that is to be dedicated to Council. The Parramatta City Centre employs approximately 50,000 people and houses 10,000 residents and is considered an important economic centre. Strong public transport, leading education institutions and easy access to the wider Sydney area via extensive transport corridors have added to the appeal of Parramatta for both residential and commercial use. Peter Chittenden, Managing Director of Colliers International Residential said Parramatta has established itself as a liveable city with demand for apartments having never been higher. The Auto Alley site will be formally offered to the market early in 2015.